Often times, after our teams return we at ADTH are asked, “How was Haiti?” And though the intent of the question is genuine, the answer is always so hard to articulate.This summer was filled with joy; seeing God work, But also filled with challenges, as we try to fulfill our purpose in this country we love. As always, God has been incredibly good to us and provided all that we needed in His perfect timing as we help to bring the love of God to the people of Haiti. And once again, after over a decade of work in this country, we find ourselves amazed at what we’ve seen Him do in such a short time. Here is a synopsis of the 2015 summer work of ADTH and our many team members and church partners. 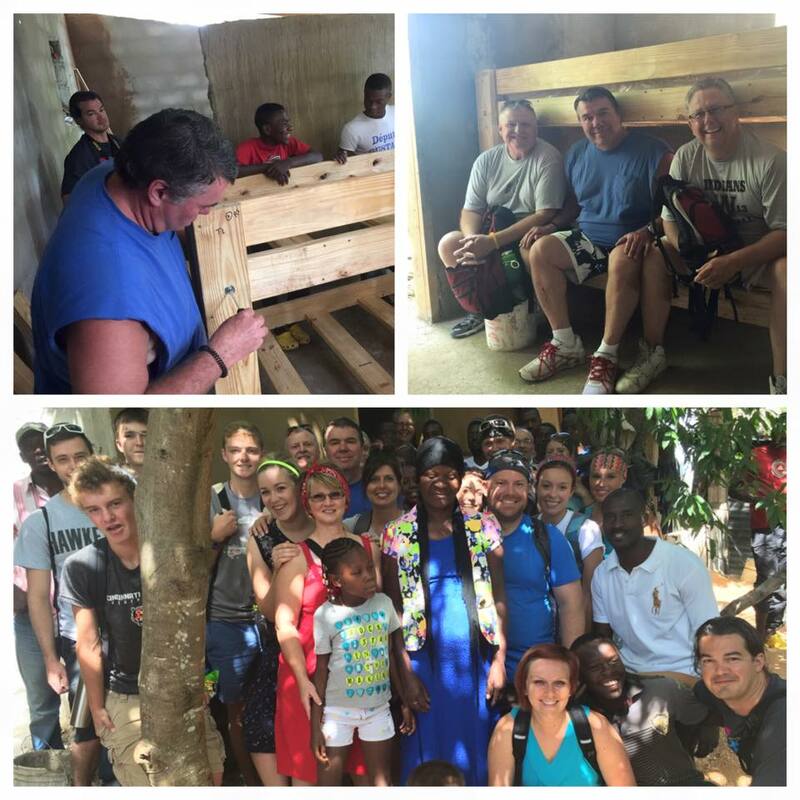 working alongside our Haitian construction crews, provided 8 beautiful new homes, 8 sets of bunk beds, and, of course, 8 “ADTH Front Porch Rockers” for 8 families whose lives will be changed forever. painted, repaired and built desks for, three schools in preparation for 700+ students to return this year. Of course, after work, there was always time to “love on” the babies! experienced God at work in the lives of many families as we “prayer walked”, fellowship with, washed clothes with, cooked with, witness to, and performed evangelical programs for the people of many villages. One of the joys of summer for us at ADTH is to bring hundreds of children through “VBS Haiti style”. These special events at all of our churches provide a day of fun and biblical teaching for the children of the village. The result this year, as in every summer, was to see many children receive Christ as their Savior. Two very highly anticipated events were also produced this summer in cooperation with some amazing church partners. First, several wonderful teachers from West Cabarrus Baptist Church NC facilitated a new personal evangelism course for students called, “Dare to be a Daniel”. This material, written in Haitian Kreyol, has been licensed exclusively to ADTH by the Billy Graham Evangelistic Association. Pastor Charlie Cole and his team trained students to share their faith with boldness and to surrender their whole lives to the purpose of seeing others come to know Jesus as Savior. We watched as Haitian young people spent afternoons out in their own villages witnessing to their neighbors…and God moved! We believe this is the future of the evangelistic effort in this needy country. We also partnered with Friendswood Church TX to provide an incredible church leadership seminar for several churches and we are still hearing results from this much-needed event facilitated by Pastor Kevin Pate and his team. And last, but not least, several medical professionals came together from Rain City Church and provided a medical screening\Clinic for the village of Calabasse. They provided diagnoses and medicines for many families during this week. This invaluable service has been requested by all of our pastors for the future. Whew! Looking back on such a busy summer creates an us an amazing feeling of gratitude to see what God can do through servants that are ready to do His will. But it also spurs, in us, a desire to do even more. All of us at ADTH are committed to continuing and expanding our work in this amazing country. Please come and join us on a team in 2016 as we see God at work through us!